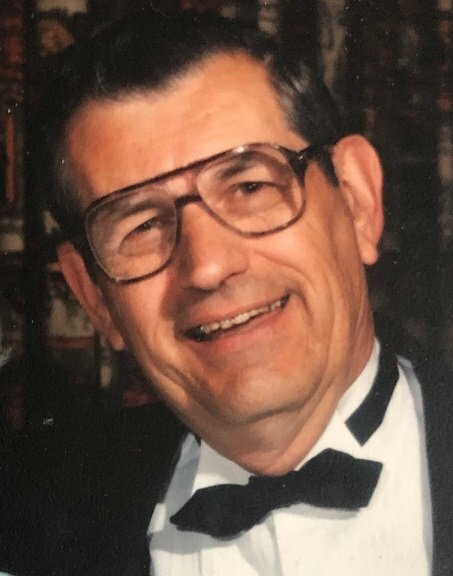 Donald H. Webster, Jr. passed away January 15, 2019 in Sister of Charity Hospital-St. Joseph Campus. Born May 19, 1929 in Kenmore he was the son of Donald H. and Marion (Becker) Webster, Sr. Don served in the US Air Force from 1950-1954. He worked for Harrison Radiator Div of GM where he was the Suggestions Investigator. Don was a 68 year member of the Knights of Columbus Council 319 serving as past Grand Knight from 1966-1967, Fourth Degree Assembly #754 serving as Faithful Navigator from 1967-1968, member of International Order of Alhambra and served as an Election Inspector for Erie County. He enjoyed farming and especially enjoyed spending time with his family. Donald was predeceased by his wife of 63 years, Lorraine (Duggan) Gustafson Webster on December 23, 2018, his daughter Joan Clough, grandson Corey and granddaughter Sandy Rowley. Donald is survived by his children Barbara Louise (Louis) Lipome, Geraldine Jane (John) Hannahs, Annette Nadine Webster, Blaine Halifax (Maria) Webster, and Marian Elizabeth (James) Misner; 14 grandchildren, 19 great grandchildren, and 3 great-great grandchildren. There will be no prior visitation. A Mass of Christian Burial will be celebrated Saturday, Jan. 19th at 9:30 AM in Good Shepherd Church St. Augustine’s Campus, 8700 Goodrich Rd., Clarence Center, NY. Entombment will be in Queen of Heaven Cemetery. Memorial donations to the church would be appreciated by the family. Visit pruddenandkandt.com.